Our family daydreamed about moving to Maine forever. Then, in 2003, we did it! My two children and I began a new chapter in life, in a log cabin in the Maine woods, near the coast. I changed careers from forestry research to special education, got married again, and discovered a new passion. On our honeymoon in 2005, my husband Chris took me to the Allagash Wilderness Waterway and I fell in love again ~ with the serenity and serendipity of the river. The voice of loons deep in the night, the fir-scented wonder of misty mornings, and a sense of true belonging that surprised me. I cried when we had to come home. Tragically, I lost Chris in 2009. My father had given me a kayak for Christmas and I began to paddle alone. In 2011, a trip I called Paddle for Hope took me across Maine on part of the Northern Forest Canoe Trail, raising $10,600 for the Maine Children’s Cancer Program. Soon, I was contemplating a solo thru-paddle of the entire NFCT, including the more difficult first half, which begins in the Adirondacks. 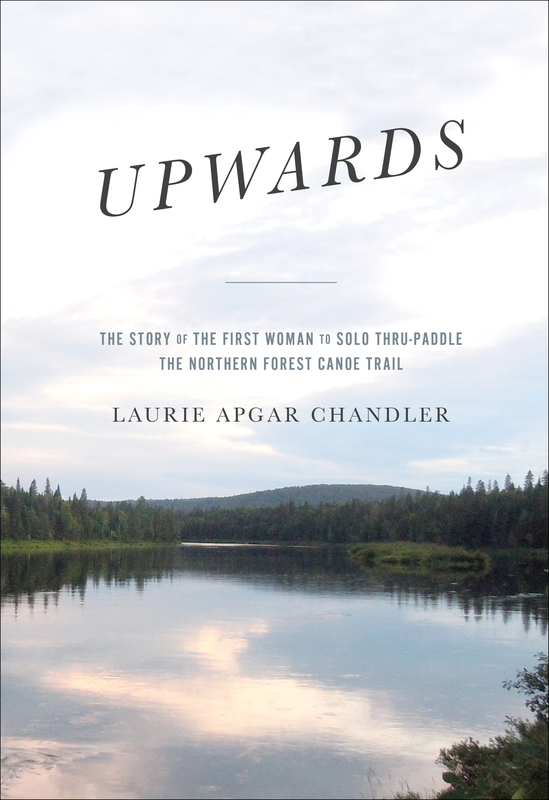 Upwards, the story of my 2015 thru-paddle, is my first book. I’ve discovered that writing and publishing is just as challenging and rewarding as paddling 740 miles unassisted! Maine is still my year-round home, but now I share my parents’ log cabin. As often as I can, I visit my children in Virginia, where Megan and her boyfriend Jacob are both graphic designers and Taylor is a firefighter. My faith and my church are my foundation, and I get outdoors as much as I can, summer and winter ~ swimming, canoeing, hiking, and snowshoeing. Since last summer, I’ve visited Honduras and seven new countries: Greenland (Denmark), Iceland, Norway, the Netherlands, Ireland, the U.K., and Costa Rica. A special blessing has been meeting the young people whom I sponsor through Unbound, Fredy in Honduras and Dixie in Costa Rica. Simplifying my life has given me the time, money, and energy to follow my heart and pursue my dreams.